We already know that future X-Men movies will have a lot more of Jennifer Lawrence’s Mystique, but she’s not the only one who’s going to be playing a bigger role in Fox’s version of the Marvel Cinematic Universe. As revealed by ComicBook.com, the Deadpool movie that is apparently going to finally happen for real will officially be a part of the larger universe established by the X-Men movies, making it the first film that isn’t really about the X-Men to be included. This is especially interesting because, despite Deadpool’s appearance in X-Men Origins: Wolverine, he’s not generally depicted as a member of the mutant team. In fact, if we want to get extra nerdy in here, he’s not even really a mutant. He just as mutant-like powers. Because of that, Fox will actually have to find a way to justify making him part of the shared universe, whether that means an appearance from one or two of the X-Men or a simple token reference to that time Magneto did whatever. 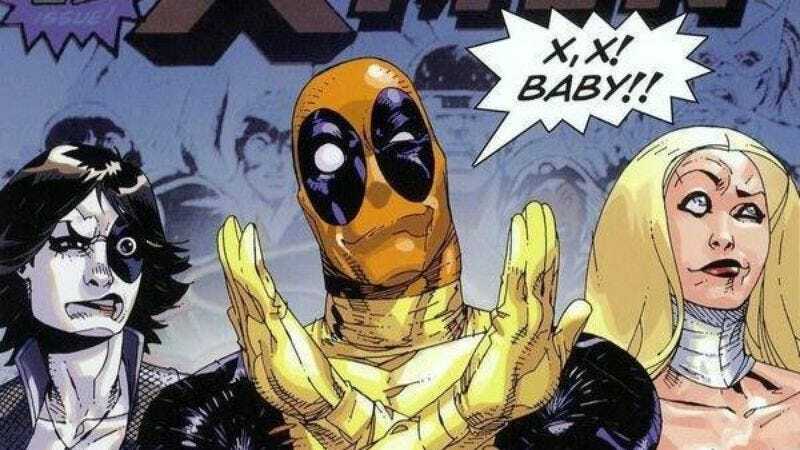 Deadpool comics are known for their wacky attempts at fourth wall-breaking humor, though, so there will probably end up being a ton of references to that time Magneto did whatever, as well as some jokes at the expense of all of the bad X-Men movies—like X-Men Origins: Wolverine, for example.